Your accommodations should be as exceptional as the scenery in Alaska and the Yukon! Explore our specials and packages below to ensure you get the perfect deal for your Great Land vacation. *25% off based on Flexible Rate. Must stay a minimum of two nights to receive discount. Not valid with other promotions or discounts. Offer not valid in Sitka or Whitehorse. Valid select dates May 1 – June 30, 2019. Dates are subject to change, based on availability, and are not valid with any other promotion or discount. Rates are eligible for Guest Rewards Points or Alaska Airlines Mileage Plan Miles. Rates are based on single or double occupancy; triples and quads are available at an additional cost. Hotel taxes are additional. Use Code SAVE10 to save 10% on the best available flexible rate when you book online! *Discount valid on the Flexible Rate and not valid with any other promotions or discounts. Must enter promotional code SAVE10 on westmarkhotels.com to receive discount. Valid on select dates. Offer not valid in Juneau, Sitka and Whitehorse. Dates are subject to change, based on availability. Rates are based on single or double occupancy; triples and quads are available at an additional cost. Hotel taxes are additional. 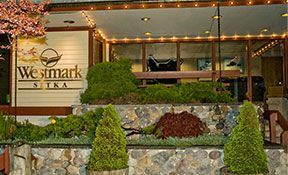 Centrally located in downtown Anchorage, Westmark rooms come with their own private balcony. Step out and take in the sweeping views of the nearby Chugach Mountains and Cook Inlet. Save 10% on your next stay! Save 10% on your next stay in the Golden Heart City and relax in style at the Westmark. Explore historic Fairbanks and don’t forget to set your alarm to catch the elusive Northern Lights. 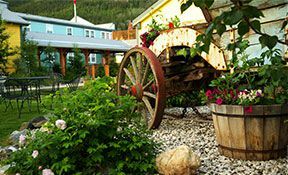 Rated the #1 hotel in Dawson City, the Westmark is a great jumping off point for sightseeing and activities. Jack London’s home is nearby, as is the legendary Diamond Tooth Gertie’s gambling hall. 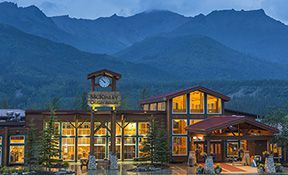 Situated on the shores of the Nenana River, the resort offers picturesque views of the Denali Canyon and unbeatable amenities like two restaurants, tour desk and more! 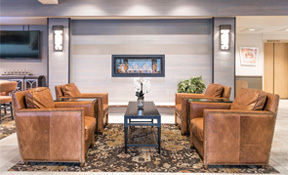 The Westmark Sitka is near the city’s picturesque harbor. Step outside and take in the view or head out for a stroll to the historic St. Michael’s, the local Russian Orthodox Church. 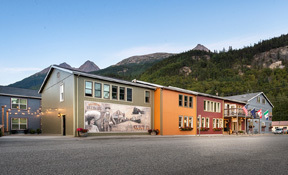 Just a quick walk from the Inn is The Klondike Gold Rush National Historic Park. Step back in time and enjoy the comforts of the Inn’s Victorian décor. 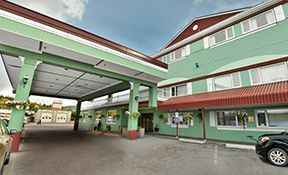 With excellent rates, it’s no secret why the Westmark Whitehorse is one of the Yukon’s best hotels! 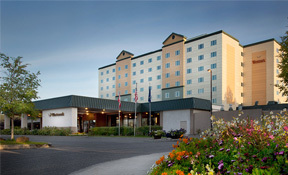 The Westmark Whitehorse Hotel & Conference Center offers something for everyone. The historic district, Yukon River and Miles Canyon are nearby for those who want to explore historic Yukon Territory & the outdoors.